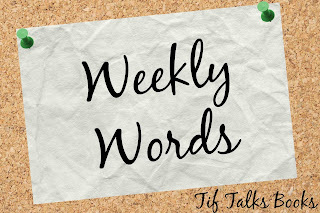 Welcome to my new feature, Weekly Words! 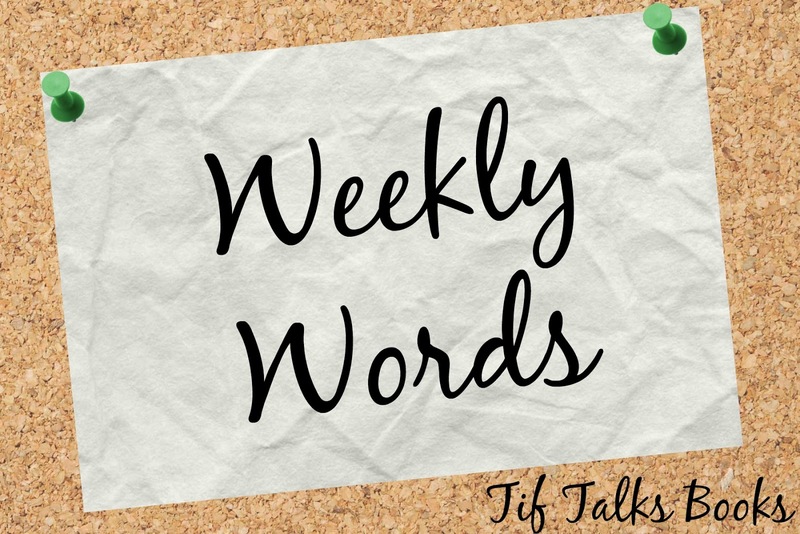 Over the years, I have shared random thoughts or highlights from my week on a scheduled day. This year, I decided to try something new and post something similar, but rather whenever I would like. Sometimes you will see it, sometimes you will not. Hopefully, more of the former than the latter! Anyways, on to the week . . .
What a week! I had some really great moments, and then some not so good moments. Let's start with the great ones. Book Blogger Appreciation Week (BBAW) was a complete hit! I had so much fun participating, and loved being back in the blogging world on a regular basis. It almost felt like I was organized enough to get back into writing this past week, in both blogging and my personal writing! Such a great feeling! Now I just need to finish catching up on all my fellow bloggers contributions for the week. In the meantime, here's the list of my own in case you missed it . . .
Now for the lows . . . As I have mentioned before, I am currently taking an online class on Native American Literature. It is a fascinating class and I am loving it, but boy can it be stressful!! I frequently have papers to write and assignments to finish. I am currently debating the topic for my final paper. And, I really should be reading and writing a paper instead of writing this. Oh well! As soon as I hit publish, that is where I will be! In addition to the stress from my class, my dear boy had a bit of an accident at school this last week. I received a call at work on Friday morning that I needed to pick up my son and get some x-rays. He was playing basketball before school started, and took a bit of spill. Well, I took him in for some pictures and initially, the results were a sprain. Well, on Saturday morning another call came in, and the results had changed. A small crack was found in his wrist! Thankfully, there is no cast needed at this time, but my boy has to wear a splint for the next two weeks. Keeping my fingers crossed that he heals quickly! Finally, let's close on a high note. In fact, let's close on two! 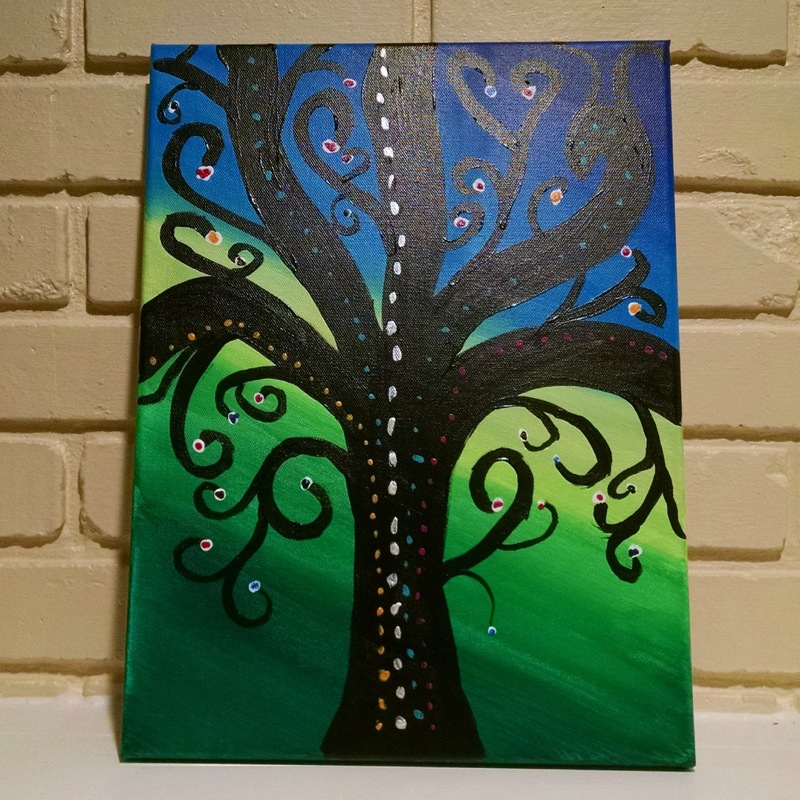 In addition to my excitement from the return of my blogging and writing last week, my son and I hit up a local artsy shop for a date night this last weekend, and spent the night creating. I shared a pic from my art in progress on Instagram here, but I thought I would share a little pic of my final product here (though the quality is a tad poor). 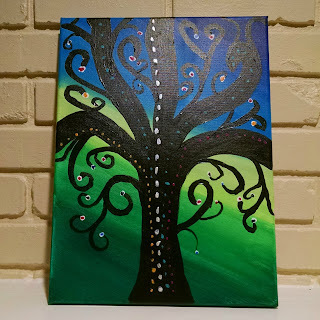 I have never really painted before, so I am excited at how well it turned out and I can't wait to go back for more!! 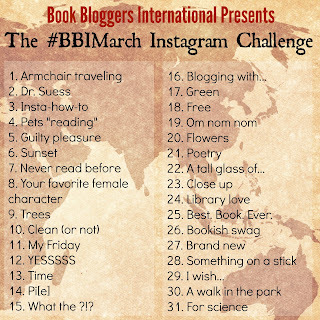 And, to keep those creative juices flowing, check out what is happening over at Book Bloggers International next month! I have not participated in an Instagram challenge in a long time, but I'm going to dive in and try to continue my creative streak throughout next month. I hope that you will join us! What have been some of your recent highs and lows? How have you expressed your creativity lately? Wow. What a week of ups and downs. Wasn't BBAW great? I'm glad I participated. I got to meet some great new to me bloggers. I love the painting! Jenny ... BBAW was great! I had a great time and it inspired me to get back into blogging regularly ... as long as I can find the time!! ;) And, thank you for the compliment on the painting! Busy week! I enjoyed your BBAW posts. 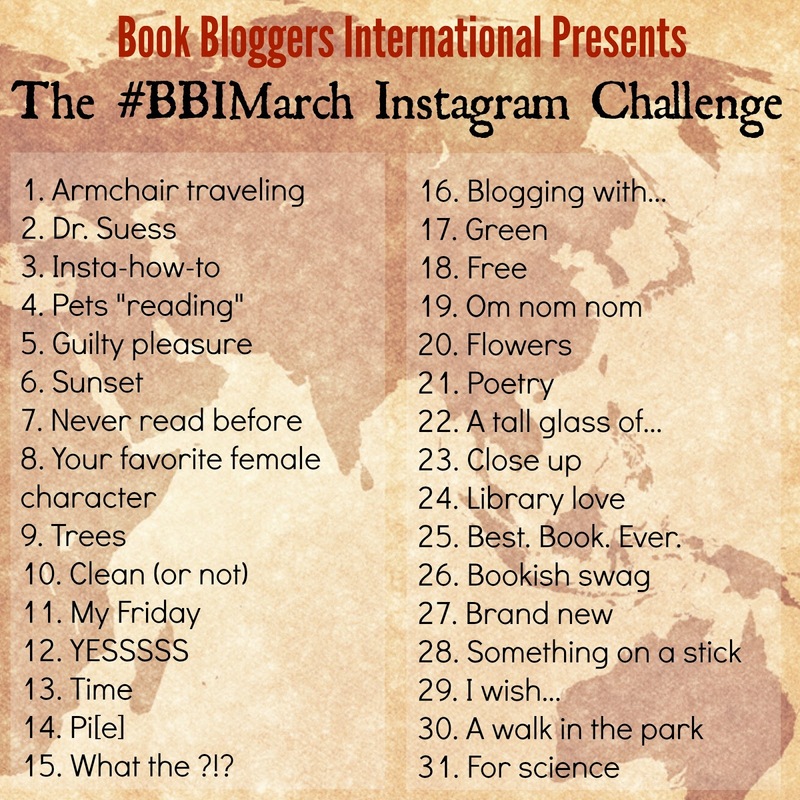 Is there a link for the #BBIMarch challenge? Thanks, Tif. I subscribed to BBI. I'm new to IG and the challenge looks fun! frances pickard ... You're welcome! Looking forward to having you join us! Very cool painting! I always want to try it but am too afraid I will totally screw it up. I'm glad that your son wasn't more badly hurt! That's always stressful to get a call from the school like that no matter the outcome though. Kristen M. ... I am so glad too! I'm hoping the x-rays this week show lots of good healing! You should totally join and connect it to March Magics!! That could be a fun twist!! I managed to post for the first day of the Instagram challenge. I will hopefully be able to continue! Kailana ... I did too! I need to catch up tonight! !